Fawzeya is a 56-year-old Bahraini woman who is currently being detained in the women’s prison in Isa Town. She has suffered ill treatment in prison, including denial of medical care by Bahraini prison authorities. On 15 December 2017, a group of masked officers in plain clothing arrived in approximately thirty cars and raided Fawzeya’s home. They came to the house at 3:00am and asked Fawzeya to present herself for interrogation later that day at 3:00pm. When she arrived, Fawzeya was interrogated overnight at the Ministry of Interior (MOI)’s Criminal Investigations Directorate (CID) in Adliyah until the morning of 16 December 2017. The next day, on 17 December 2017, the officers took her to the Office of Public Prosecution, and then detained her for a week in the women’s prison of Isa Town. Her detention was renewed for another 15 days and she was charged with harboring a fugitive. She is currently awaiting trial at Isa Town. Fawzeya suffers from severe health conditions and her family has requested several times that the CID release her immediately for treatment. The family informed the CID that she suffers from low blood pressure, heart problems, asthma, and several digestive problems ranging from stomach to colon issues. Prior to her detention, Fawzeya had recently undergone two surgeries and received mental health therapy. However, despite these serious health conditions, the authorities did not allow her family to visit and denied her from medical visits. Rather than addressing the family’s complaints, the Bahraini authorities have continuously redirected the family to different institutions that have similarly failed to resolve the complaints. In December 2017, a representative from the CID informed the family that no one would be permitted to visit Fawzeya. On 11 March 2018, Fawzeya was transferred to al-Qalaa Hospital because of a sudden drop in her blood pressure, a weak pulse, and high blood sugar levels. She is particularly vulnerable to a serious decline in health due to a previous near-fatal heart attack. However, Fawzeya did not receive any medical treatment there. She only stayed at the hospital for a few hours and was given the medication for her heart condition. On 1 April 2018, Fawzeya’s family requested to meet with an officer from the Office of Public Prosecution to apply for a temporary release because her trial has been delayed and she is in urgent need of medical care. The officer never met with her family and he refused to meet with Fawzeya. Officials have repeatedly threatened and harassed Fawzeya. On one occasion, when the MOI driver was speeding on their way to al-Qalaa hospital, she asked the official to slow down. The driver responded: “I hope you die, so that we can get rid of you.” The authorities also threatened Fawzeya when she requested dental treatment. They told her to choose between “accepting the pain and signing a statement to reject dental treatment” or “having her teeth pulled out.” Additionally, the authorities have threatened Fawzeya and forced her to sign a statement that she does not require further treatment other than taking medication. Fawzeya is currently refusing visitors to protest the ill treatment that she has met with in the Isa Town prison. Her protest comes amid hunger strikes launched by other Isa Town prisoners like Hajer Mansoor Hassan and Medina Ali in response to continued abuse. 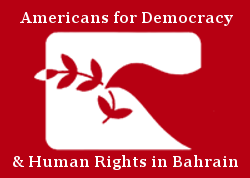 Bahrain’s actions against Fawzeya violate its international obligation under the the International Covenant on Economic, Social, and Cultural Rights (Article 12 right to health). Bahrain is a party to this treaty. ADHRB calls upon Bahrain to uphold its human rights obligations by providing sufficient medical care and medication to Fawzeya. We also call upon the authorities to maintain adequate living conditions in the women’s prison in Isa Town.